The other day we received news from La Plaza Cultural, the community garden on the southwest corner of Ninth Street and Avenue C.
Nestled under a tree, in the Southwest corner of La Plaza, you will find a newly established hive of honeybees. 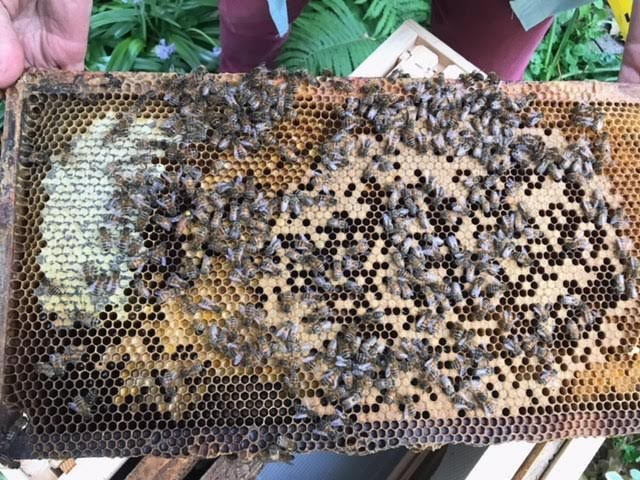 The colony starts small and will grow taller with more numerous honeybees as the year progresses. Hard-working honeybees are inside building comb and raising babies; outside they are foraging for nectar, pollen and water. Honeybees are gentle, industrious creatures that create beauty in our world and pollinate our food supply. At La Plaza, Marga Snyder and Grai Rice are the beekeepers establishing this colony for the joy and education of all. 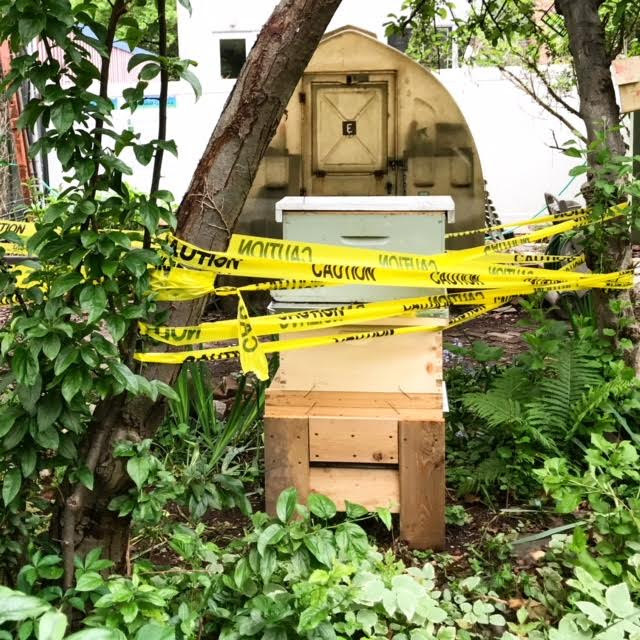 Many years ago, there had been two colonies on the roof of the toolshed, long before it became legal again to tend hives in the city limits, and it is a complete delight to bring the bees back. You can sit quietly and watch them, and listen to the gentle hum of the hive. What you need to know is that they are not aggressive, however they are scared by fast motion and vibration. Grai Rice from HoneybeeLives.org will be doing a couple of hive introductions to garden members, once the colony is more established and honeybees are accustomed to their new urban environment. Truly a great service these people are doing raising bees. I love bees! Wonder if they will be selling any of the honey, I'd definitely buy some. Can’t wait to meet the bees! My new neighbors!